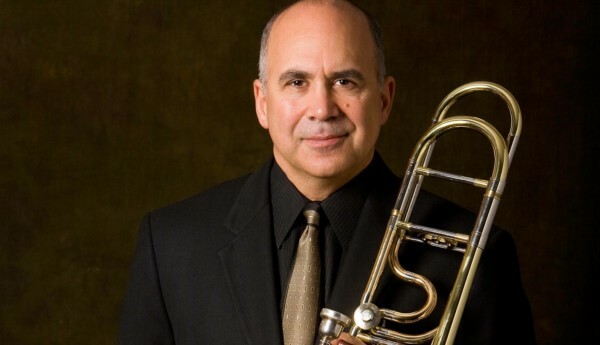 Joseph Alessi was appointed Principal Trombone of the New York Philharmonic in the spring of 1985. 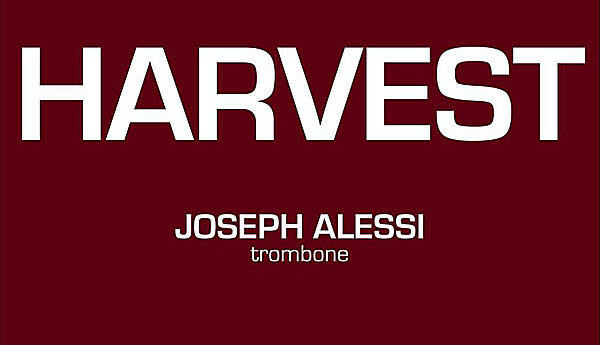 Mr. Alessi began musical studies in his native California with his father, Joseph Alessi, Sr.
As a high school student in San Rafael California, he was a soloist with the San Francisco Symphony before continuing his musical training at Philadelphia’s Curtis Institute of Music. Prior to joining the Philharmonic, he was second trombone of the Philadelphia Orchestra for four seasons and principal trombone of L’Orchestre Symphonique de Montreal for one season. Mr. Alessi is an active soloist, recitalist, and chamber music performer. In April 1990, he made his solo debut with the New York Philharmonic, performing Creston’s Fantasy for Trombone, and in 1992 premiered Christopher Rouse’ s Pulitzer Prize winning Trombone Concerto with the Orchestra, which commissioned it for its 150th Anniversary Celebration. His most recent appearance with the Philharmonic as soloist was in performances of Jim Pugh’s Concerto for Trombone in March of 2000. He has been a guest artist with the Lincoln Symphony, the National Repertory Orchestra, the Colorado Symphony Orchestra,the Syracuse Symphony, the Santa Barbara Symphony, the New Japan Philharmonic, the Orchestra of Teatro Bellini in Catania Sicily, the Mannheim National Theater Orchestra, National Symphony of Taiwan, Puerto Rico Symphony, and the Hauge Philharmonic. 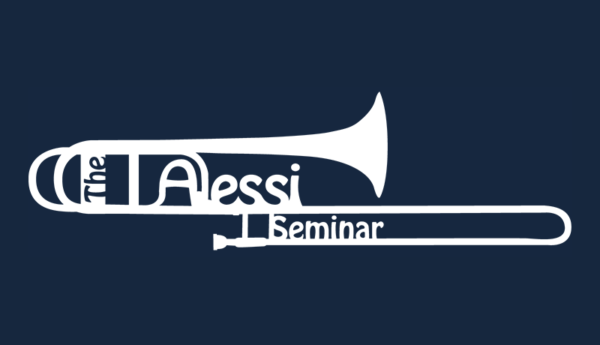 Mr. Alessi has also participated in numerous festivals including the Festivale Musica di Camera in Protogruaro, Italy, the Cabrillo Music Festival, Swiss Brass Week, and the Lieksa Brass Week in Finland. He was featured in the ’96,’98,’99, and 2000 International Trombone Festivals, and the International Meeting of Brass Instruments in Lille, France. He isa founding member of the Summit Brass ensemble at the Rafael Mendez Brass Institute. 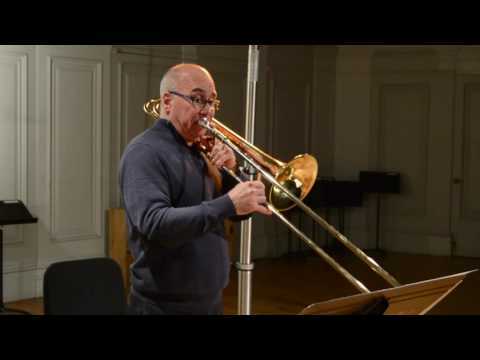 Joseph Alessi is the recipient of the 2002 International Trombone Association Award which is awarded to an individual who has greatly influenced the field of trombone. Currently on the faculty of the Juilliard School, Mr. Alessi has taught at Temple University in Philadelphia and the Grand Teton Music Festival in Wyoming. As a clinician for the Edwards Instrument Co., he has also given master classes all over the world and has toured extensively as a master teacher and recitalist. His students now occupy posts with many major symphony orchestras throughout the United States. Mr. Alessi has performed as soloist with several leading concert bands including the U.S. Military Academy Band at West Point, U.S. Army Band (Perhshing’s Own), and the U.S. Marine Band (President’s Own). Mr. Alessi’s discography includes Slide Area on the D’note record label and New York Legends on the Cala label as well as several discs on the Summit record label, including a newly released solo disc, entitled Trombonastics, and a disc with NY Philharmonic Principal Trumpet Philip Smith, entitled Fandango. His live recording of the Rouse Concerto with the New York Philharmonic can be heard on Volume II of the recent release, An American Celebration, on New York Philharmonic Special Editions, the Orchestra’s own recording label. He was invited by the International Trombone Association to record a solo disc of newly composed works, which was distributed to the Association’s membership of 5,000 trombonists in early 1999, and is now available as Beyond the End of the Century through Summit Records. Recently, his recording of George Crumb’s Starchild on the Bridge record label, featuring Mr. Alessi as soloist, won a Grammy Award for 1999-2000. Other recordings featuring Mr. Alessi are with the Canadian Brass for Sony Classical and Philips Records. Further information about Mr. Alessi can be found on his website, slidearea.com.